Golf outing activities for four plus your name or Company logo displayed on the green and recognition in the program book and event signage. Interested in other sponsorship opportunities? 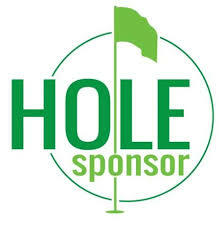 Contact Carol Smith to make arrangements for your personal sponsorship selection. Beverage Cart and Cocktail Hour Sponsorships are also available. Call for details and rates.